Take hold of your life! καμιά φωτιά στην κορυφή τους˙ βραδιάζει. The words are from the poem “Epiphany 1937” by George Seferis, winner of the Nobel Prize in Literature in 1963. 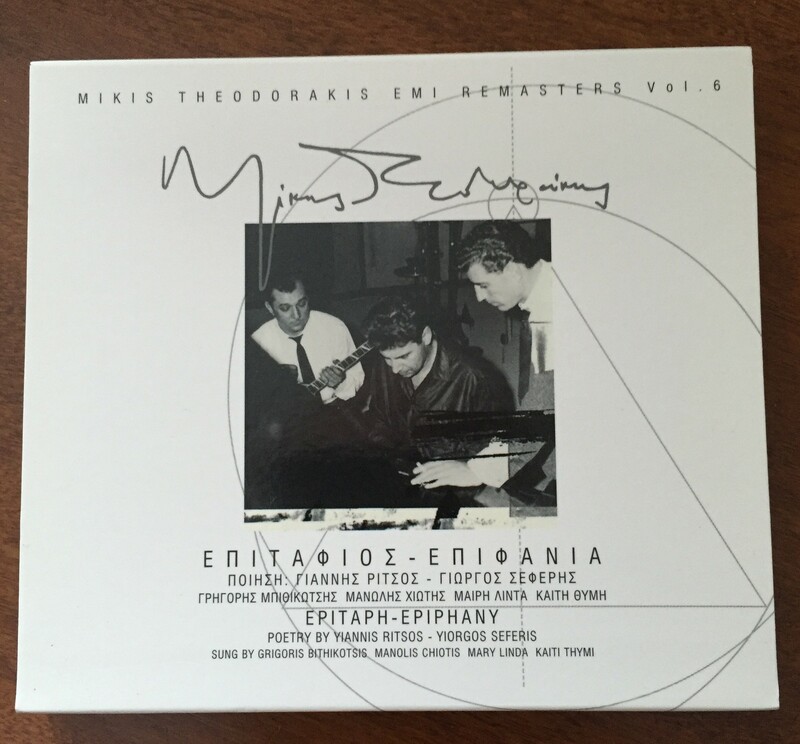 It was set to music by the great Mikis Theodorakis, and was recorded in 1962. Here is my translation of the whole song, though I have trouble translating the full impact of the word πλάγιασμα. Is it “slanting” as in published translations, or is it something more like the “cover” of rain? Maybe someone could give me a better translation of that one word which seems to be important in the overall meaning of this song/poem. It is because it’s getting dark that we need to “take hold” of our lives. And it is because it’s getting dark that we “keep hold” of our lives! The mistake most of us make is that we keep hold before we take hold! We protect our lives before we have actually lived our lives. That indeed is a very profound problem. 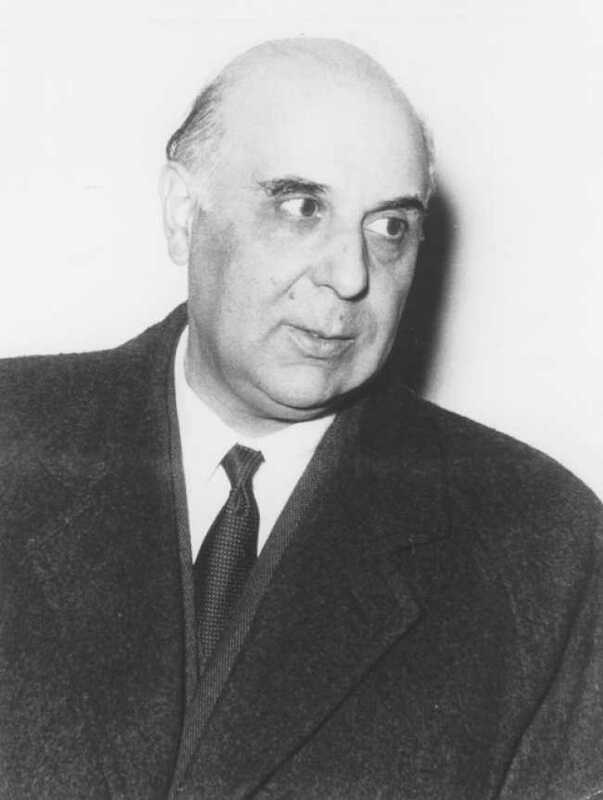 Categories: Lenten Reflections | Tags: George Seferis, Γιώργος Σεφέρης, Μίκης Θεοδωράκης, Mikis Theodorakis, modern Greek poetry | Permalink. It is a fact of human history that revolutions almost always end up as something other than originally intended. The revolution of faith that God initiated in chapter 12 of Genesis, when Abraham obeyed God’s call in faith and moved from the land of his father to the land God chose for him, that revolution of faith has led to four thousand years of conflict in that land that we have mis-labeled “holy land.” What is holy about a land that has caused more bloodshed, more hatred than any other land on the planet? Already in chapter 13, we see the beginnings of what is to come, when Abraham and his nephew Lot agree to a parting of ways to avoid fighting over land. But our lectionary reading for today, Genesis 13:12-18, avoids the reason for the separation of Lot and Abraham and jumps directly to God’s promise of the land that will be the source of so much conflict. Did God not know that this land would become the source of so much ungodly hatred? But that’s to ask the question from the wrong perspective. God did not write Genesis, people wrote it – people who had a vested interest in pressing claims on the land and the various promises God made. God has his own purposes; how those purposes are interpreted by humans and how they are put down on stone and paper is another thing. 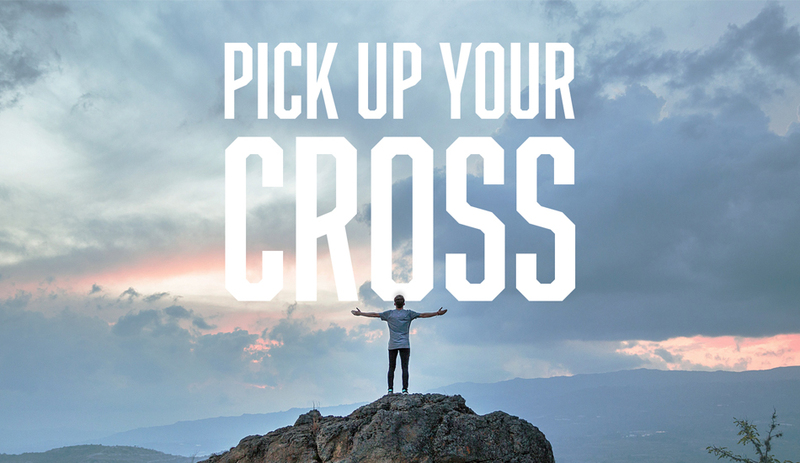 Come, all you kindred of the nations (αἱ πατριαὶ τῶν ἐθνῶν), and let us honor the Cross of the Lord. Rejoice, O Cross, perfect redemption of fallen Adam. Glorying in you, our faithful kings laid low by your might the people of Ishmael. These are the words of an imperial Orthodoxy facing the threat of Arabs (“the people of Ishmael”) in the Middle Ages. Today the land is the place where apocalyptic violence by followers of the three Abrahamic religions feed into dreams of “armageddon” that extremists in all three religions promote as literal interpretations of their “scriptures”! Today’s reading from Isaiah 37:33-38:6 certainly does not help: “For I will defend this city to save it, for my own sake and for the sake of my servant David” (verse 35). The problem arises when scriptures are given a political spin that they don’t originally possess. God defends the city because of his own commitment to it and to David. But God also does not hesitate to destroy the city or hand it over to enemies of David. And we see this ambivalence throughout the historical and prophetic books of the Hebrew scriptures. The bottom line for God is not the political meaning of Jerusalem and the “holy land” but the presence of justice and righteousness. The Hebrew word for justice is the same word for righteousness: tzedakah, צדקה. It is the same in Greek: δικαιοσύνη, one word for both concepts. In the mind of the biblical writers, justice and righteousness are two sides of the same thing. It’s only in the minds of some Christian interpreters of Paul’s letters that “righteousness” has become something narrower, defining a particular view of salvation. In interpreting Paul’s statements that we are not “justified” (=made righteous) by the “law” but by faith alone (Galatians 2:16 and elsewhere in Romans and Galatians), it seems to me that some Christians have thrown out the baby with the bathwater and have lost the double meaning of the one word in both Hebrew and Greek scriptures. Throw out the “justice” meaning out of some dogmatic concern not to do “works of the law” (Galatians 2:16 again) and you’re left with an inward-looking, one-on-one version of faith that has nothing to do with God’s abiding concern for social justice throughout the scriptures. 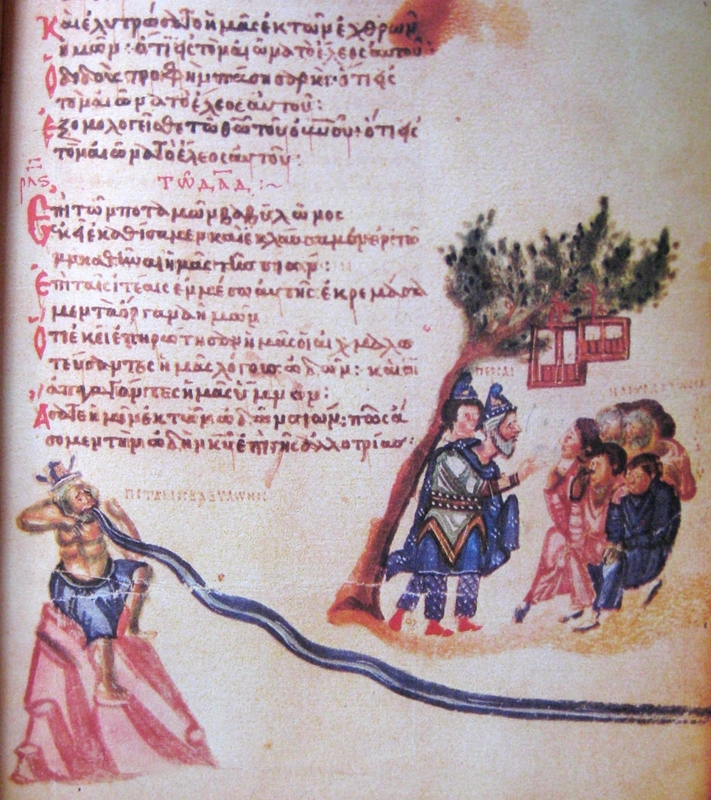 In both, the word in the original Greek text is δικαιοσύνη. When “righteousness” is only a personal virtue characterizing one’s relation to God, I can’t quite see how one might be “persecuted” for it. But people who hunger and thirst for “justice” and work for it might very well be persecuted, even in our allegedly enlightened modern age. They are the same people who are also “merciful” and “peacemakers” in the 5th and 7th Beatitudes. God’s view of righteousness is inseparable from acts of justice, both on the personal and national level. The call to us today is the same as the call to Abraham in Genesis 12:1, “Go from your country and your kindred and your father’s house to the land that I will show you.” But for us, the calling is not so much to leave our homes, but to leave our inherited thoughts behind, to encounter God with open minds and hearts, to learn anew the meaning of promises and to renew the revolution that has been thwarted. The abrahamic call to us is to join God’s revolution of faith and righteousness and justice! The revolution has been thwarted, but it is not dead or buried. As long as we can honestly encounter the scriptures as if for the first time, the revolution can happen again – a revolution of faith, a revolution of the renewed heart and mind that God seeks to cultivate in us. 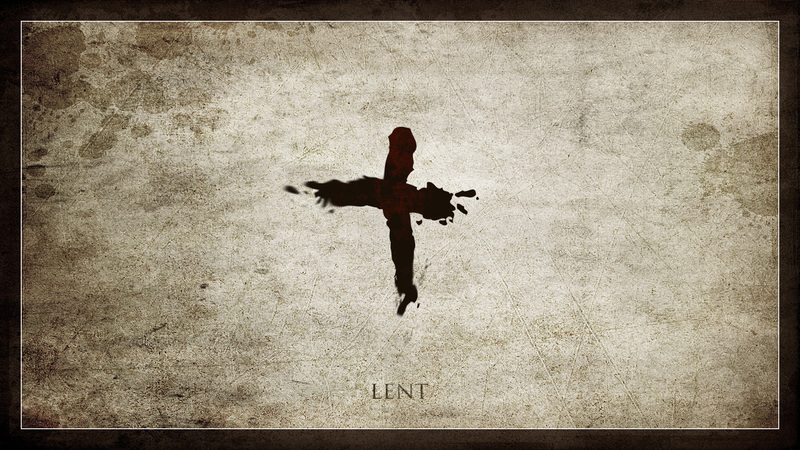 May Lent always be a time to pause and open our hearts to God’s renewing spirit. 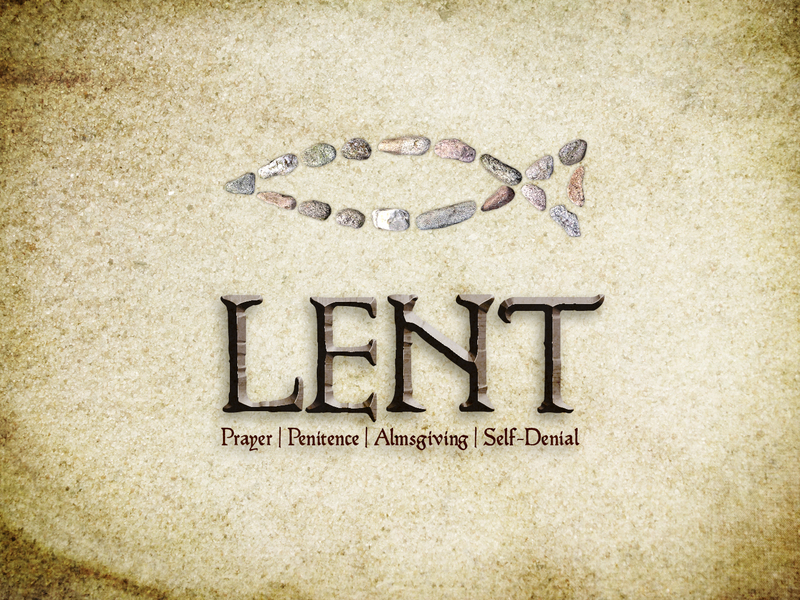 Categories: Lenten Reflections | Tags: Abraham, Abrahamic religions, Beatitudes, Holy Land, religious conflict, renewed faith, righteousness and justice | Permalink. In thinking about today’s reading from Genesis 12:1-7, I can’t find something better to write than what Mike Mair wrote a couple months ago about this passage. He is a biblical blogger in Scotland whom I’ve quoted in the past and who has posted some responses to my own posts. I obtained his permission to quote his commentary here. His original blog post can be found here. This begins a new section of the book of Genesis: the story of the beginnings of humanity in general is complete and the story of Israel begins. Of course, the author has planned this from the start. He wants to say that God’s solution to the problem of his out-of-control creature, humanity, is to persuade some of humanity to learn his goodness and to represent it in the world. We should wonder at this strange tactic. Why can God not control what he has made? The answer is evident in the story of Noah: he could wipe out humanity but he cannot force a creature made in his image to obey him; so unless he wants to start all over again he has to find another tactic. He has to persuade humanity of its own free will to go his way. So we have to see his work with Avram and his descendants as an expression of his faithfulness to his creation and to his human creatures especially. 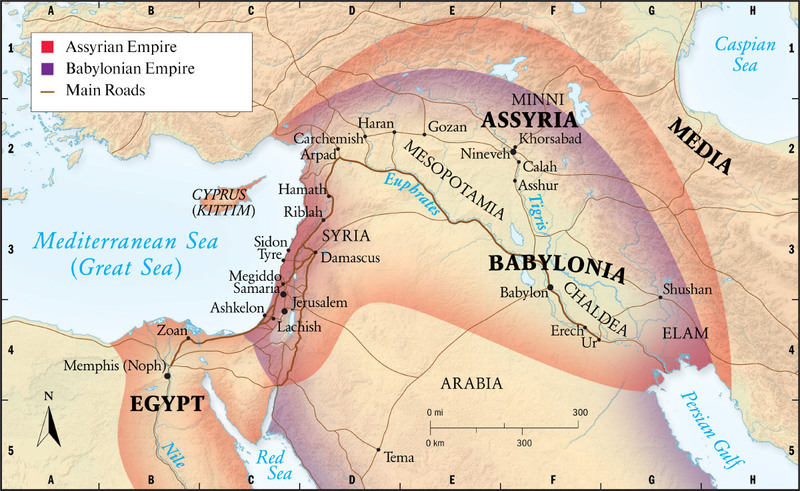 Persuasion, even divine persuasion, starts with one person, in this case Avram, a descendant of Shem, whose father Terah has moved from Ur of the Chaldees, more accurately in Sumer, to Harran in the territory of the Mitanni, on the border of modern Syria and Turkey. The accompanying map shows the extent of the migration. 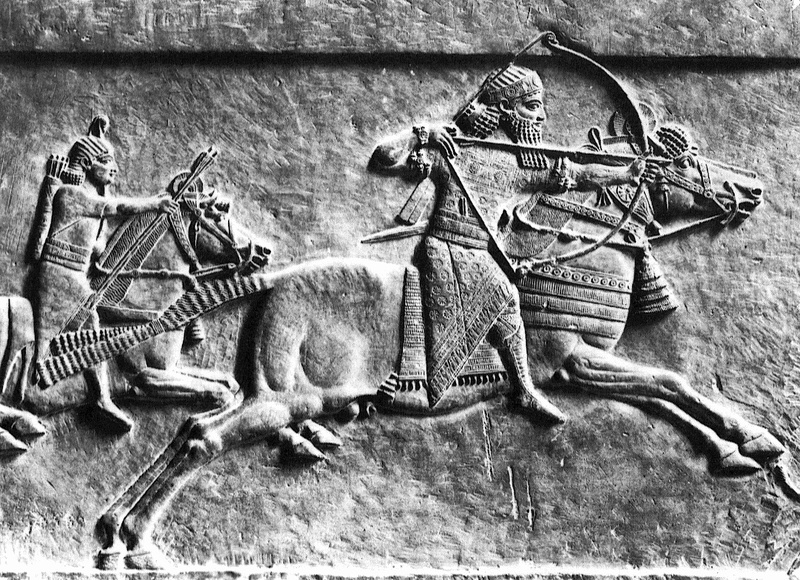 Ancient sources record a variety of nomadic peoples whose journeys took them across the borders of great empires like Sumer and Egypt. Avram’s family is identified as already nomadic, since his father has migrated from Ur to Harran. The command of the Lord, therefore is not utterly foreign to Avram, but it is presented as decisive. There is no preliminary explanation given by the author, just a command: Go-you-forth. It is not an aimless journey, however because a destination is declared: “the land that I will give you”, which is identified within a few verses as Canaan. Both the author and his original audience know that this is the land of Israel, the land promised. The command of God points to a future in which Avram and his descendants will enjoy God’s blessing but will also be carriers of God’s blessing to the human family. This is God’s solution to the problem of humanity. Avram is to BE a blessing to others. God cannot simply bless his creatures! The blessing has to come through creatures who have been persuaded of God’s goodness and will in turn persuade others. This is a very strange concept of deity. As the passage tells it, God needs Avram more than Avram needs God. Avram’s ready response is made clear; he moves out of Harran with his wife and his own complete household. Other members of his family remain but his nephew goes with him, along with the “people they had made-their-own”, that is, workers and slaves. Avram is not exploring, he is moving house. 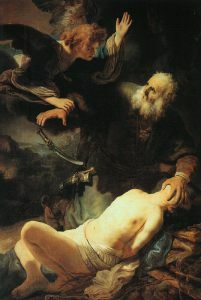 Ancient landmarks such as Shekhem, Moreh and Beth-El are noted in connection with Avram’s places of sacrifice to YHWH, but the crucial detail is that Avram “sees” YHWH, that is, he has a vision of him. In the story of Avram and subsequently in Genesis, God no longer talks person to person as he does to Noah, but is a little more distant; perhaps there is a vision or a sign, or a messenger, or several messengers, but the communication is a little less direct than in chapters 1-11. Some have suggested that the author wants to depict Avram as the first of the “seers” or prophets of Israel. In any case the verb “to see” will play an important part in his story. The narrative makes God’s promise crystal clear: “I will give this land to your seed”; and shows Abraham’s acceptance of it by his establishing of sacrifice sites and his journeying through the land. The reader is left in no doubt that this passage records a new, distinctive vision of God. Some of what has seemed contradictory and inexplicable in chapters 1-11, now becomes comprehensible as the long-term strategy of God is made clear. The illiterate cannot read. But neither can the literate read, because “it is sealed.” What is sealed? The prophecies, the scriptures! Who sealed them? The rulers of the people, who are labeled as “scoffers” in 28:14. 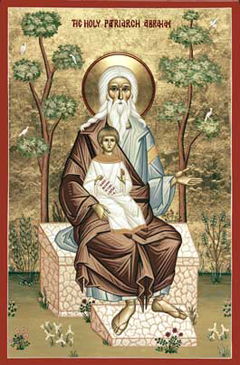 But more immediately here in chapter 29 (verses 9-10), the prophets! This is why we have trouble relating to Abraham’s hearing the voice of God. 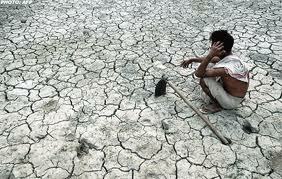 We are living in the time of famine! Yes, millions of copies of the Bible are printed every day in every known language of the planet. In English alone we have who knows how many translations and versions that you can pick up in a local bookstore or order from Amazon and have delivered to your door by UPS! It would appear that there is plenty of Bible going around. And yet, there is a famine – because the people of God are in a drunken stupor of materialism and comfortable Christian lives (so-called). Were these words spoken by God only for the dwellers of Jerusalem in Isaiah’s time? How many of us do not shiver when reading these words? And yet, we claim to read the Bible! Every year, on the Monday of Holy Week, at the evening service of the Bridegroom, the Gospel reading includes all of chapter 23 of Matthew. I don’t know how I make it through that reading every year or how I don’t hang up my vestments and quit on the spot. I don’t know how anyone in the Orthodox Church makes it through that reading! I don’t know how any priest or bishop of the Orthodox Church can read that Gospel and not quit or start a revolution of faith! Those are the only two options it seems to me. I pray that God can still do this renewal. I pray that God can still renew the fire of revolution in the church and in the hearts of all who want to follow Jesus. May the cloud and sleep that have come over our faith be dispelled once again, and may the famine cease. As Mike wrote in his post that I’ve quoted above, Abraham is not exploring, he is moving house. We also need to move house, and there’s a lot of moving to do! 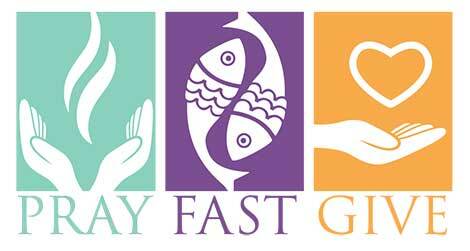 May Lent challenge us every year with these readings from Genesis and Isaiah to set a moving date. 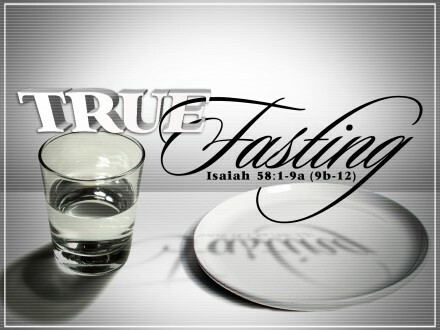 Categories: Lenten Reflections | Tags: Abraham, easy believism, Isaiah 29, lip service, revolution of faith | Permalink.